ESPN reporter-turned-Dancing With the Stars contestant Erin Andrews has joined Twitter. The broadcaster’s first tweet is about her tough (but fun!) practice sessions with professional trainer Maksim Chmerkovskiy. 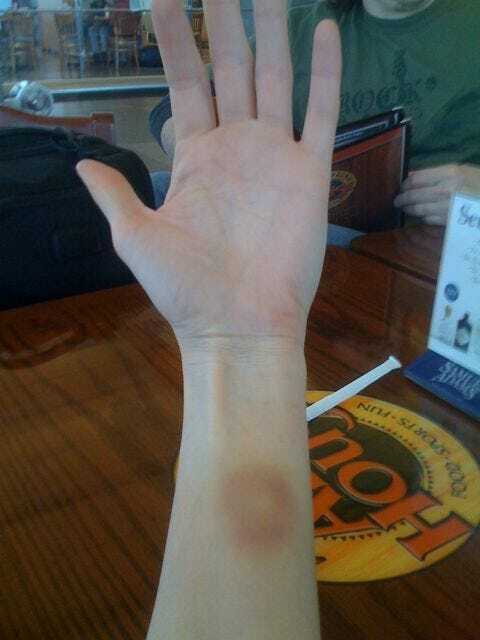 “I thought I would show a shot of my first real bruise from practice with Maks! Having fun! !” she wrote. You can spot her on the premiere episode on March 22.